We have received notice today that more people are reporting SIM card problems with their new iPhone 5 handsets. This is the latest in a long string of problems that have been reported in the last couple of weeks since the iPhone was launched throughout the country. So far we have seen reports ranging from the purple haze caught in photos, the Lightning connector, the WiFi issue and a few other incidents. So what is this new report all about? Well I have seen over on the Apple forums that a lot of people are talking about a ‘no service/no SIM card’ message which is being displayed on some phones even though the SIM card has been inserted into the phone. 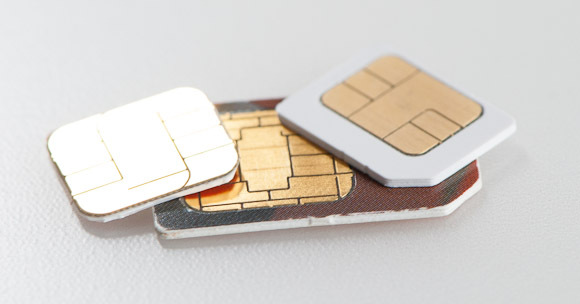 The problem is still unknown, but some experts are saying that it could be due to how the new nano-SIM is sitting in the tray. Users say they are unable to make calls or connect to a network. The best advice so far is to try reinserting the SIM card or taking it to your local carrier store for them to replace the SIM card. Let us know how you get on, and if you have experienced this NO SIM card message.